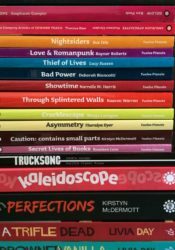 Twelfth Planet Press offers a curated experience of fiction that seeks to interrogate, commentate, inspire or provoke thought by way of the Twelfth Planet Press Tab Subscription. Want to make sure you maintain a complete set of Twelfth Planet Press books? Let us do the admin for you. Subscribe to have every book automatically sent to you on publication. Choose where to start, whether to exclude any particular titles, or select ebooks or print only. And when your tab runs out, we'll send you a friendly email with the option to renew. Simply choose a subscription level below and we'll contact you to set up your preferences. Email us (contact@twelfthplanetpress.com) at any point to change, exclude, pause, upgrade or amend your subscription. Your running tab will include postage and you can choose to bundle print books to save on postage. ... plus more to be announced! 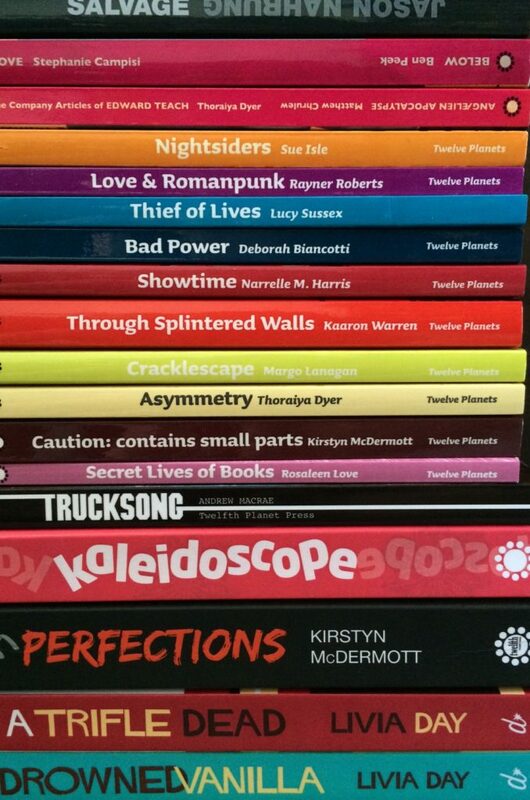 Want to make sure you maintain a complete set of Twelfth Planet Press books? Let us do the admin for you. Subscribe to have every book automatically sent to you on publication. Merry, Happy Valkyrie by Tansy Rayner Roberts – Cover Reveal!